Question: My RV is plugged in to shoreline power but I have no electric inside of coach, or to the fridge or microwave. What can I do to fix this? Answer: I am assuming that you have already attempted to reset the main circuit breakers at the power pedestal and the main 110 volt circuit breaker(s) in the RV. Start by checking these two things first, as they are the easiest way to find and resolve the trouble. If that doesn’t do the trick, then the only way to diagnose this problem is by starting at the power pedestal of the camp ground and work your way back to the outlets. You will need a voltmeter or a test light and have a comfort and familiarity with working on live electrical circuits. IMPORTANT: If you are not familiar with working on live circuits then please stop and take your RV to a repair facility. If you feel comfortable with your level of knowledge, continue but be aware that you run the risk of injury to yourself and your RV. Don’t jeopardize your safety, or cause damage to your rig that could be much more costly that what you may save by doing this yourself. Start by disconnecting your shore cord from the power pedestal and reset the breaker(s) then test for power at the outlet. If you have power at the pedestal, then reconnect the power cord (make sure you turn off the breaker before you connect the cord then reset the breaker to the on position) and work your way back to where the shore cord connects to the RV and test for power at the end of the cord. If you have power then go on to the next part. Some RV’s have a surge protector, which if faulty, can prevent power from entering the RV. If you have one of these, then look at the diagnostic lights and determine if there is power at the surge protector. If there is power there, then work your way back to the next point which should be your charger/inverter or converter or if you have a generator you will also have to test for power at the power transfer switch. We cannot provide details on how to do test your transfer switch- you could try this site for further instruction: http://www.progressivedyn.com/troubleshooting_transfer_relay/. It shows how to diagnose power transfer switch problems. Your transfer switch may be different but the procedures should be the same. If the transfer switch is working properly, then test for power between the power transfer switch or power cord and inverter/converter. If you have power there, then work your way back to main 110 volt circuit breaker(s). You will probably have to remove the cover panel to the breaker(s) to test for voltage at the wire(s) that connect to the breaker(s). If you have power at the wires then replace the breaker. If after replacing the breaker there still is no power at the outlets then move on to the wiring between breaker(s) and the outlets. 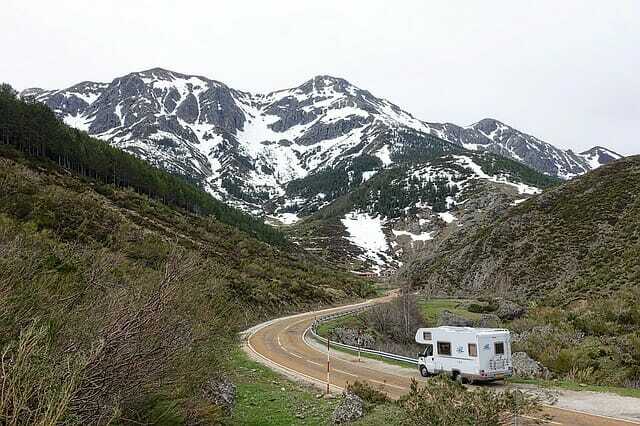 Somewhere there is a loose or broken connection and you will have to determine where the break is or take the RV to a repair facility. It is difficult to diagnose your specific issue remotely – our initial reaction is that it sounds like it could be a transfer switch issue. Perhaps the material above will be of some help, or you may need to have things checked by a qualified RV service center.